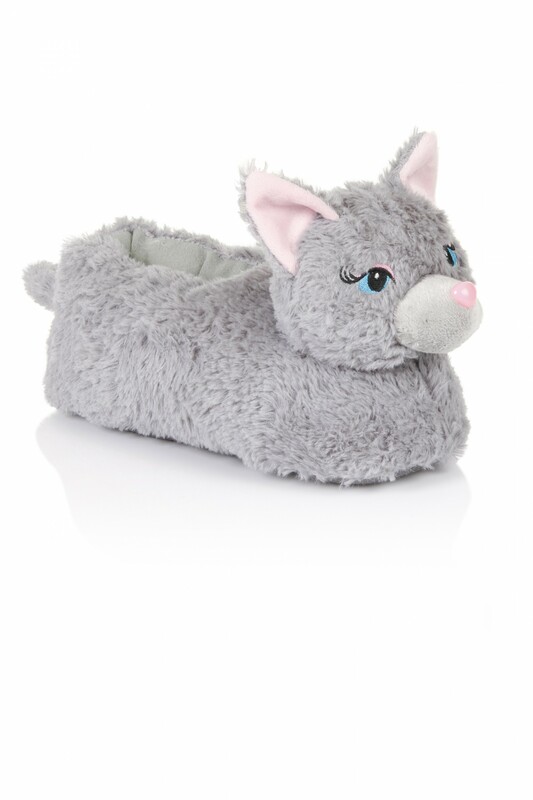 Grab the purrrrrfect children's nightwear accessory... our silver plush fur cat slippers - super cute and comfy to keep those little toes warm throughout the winter! They are a best seller and both the girls and boys will love them! They come in packs of 12, 3 sizes in each pack: 10/11, 11/12, 13/1, 2/3. 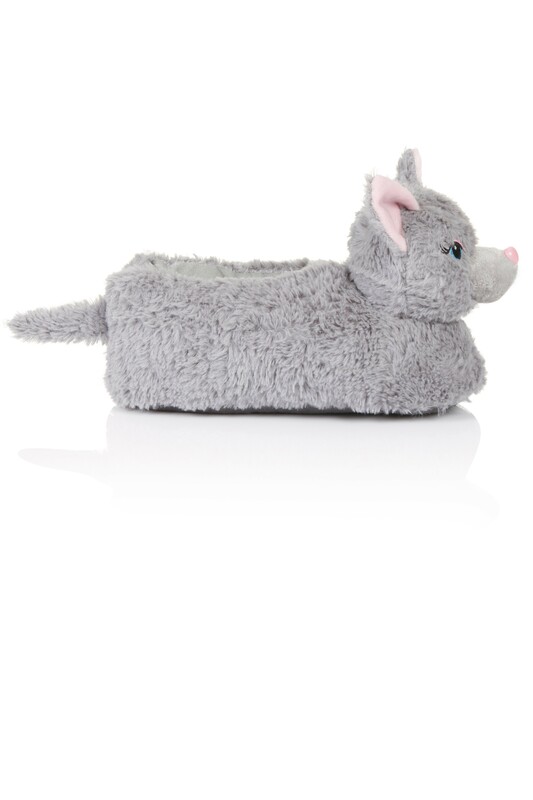 All slippers comply with safety standards and have no detachable pieces.